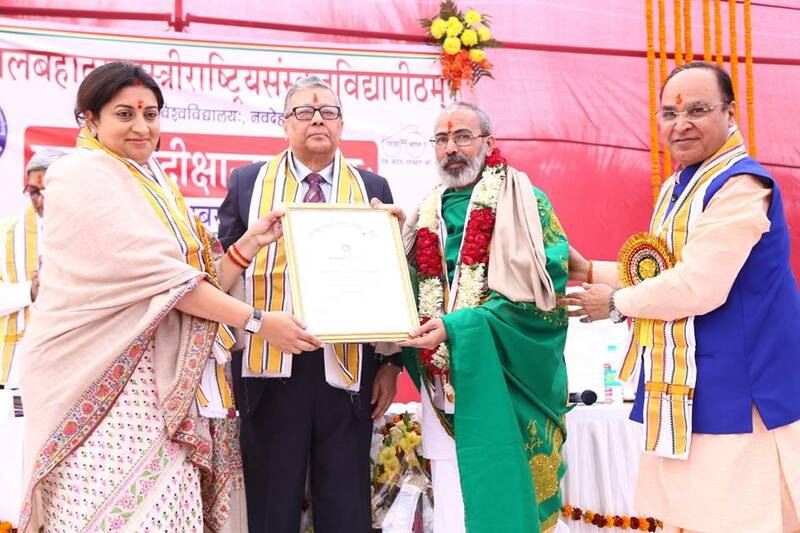 (All Degrees awarded by Rashtriya Sanskrit Sanstan, New Delhi). Syndicate member in the University of Madras. Member Board of studies in Rashtriya Samskrutha Vidyapeeth, Tirupati. Received awards and Honor from Sri Kanchi Kamakoti Peetam, Art of living foundation, Swadeshi Magazine and from other organizations. Presented more than 300 episodes in “Amrutha TV” on – Ayurveda, Nature, Ecology, traditional Cookery etc. From 1.06.2015 onwards working as Principal at Madras Sanskrit College. Completed 33 years in the field of learning and teaching in Sanskrit. Handled subjects in Jyothisham, Nyaya, Vyakarana, Ayurveda, Sahithyam etc. Presented more than 10 papers in National Seminars and More than ‘Three Papers&8217; published. Languages known: Sanskrit, Malayalam, Tamil, Hindi, Kannada & English.